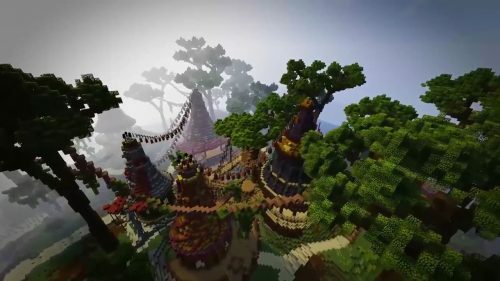 To celebrate the release of PAN Warner Bros. Pictures has teamed up with BlockWorks to create a unique PAN Minecraft experience. You will be able to discover the world of PAN within two exclusive games, evoking the adventure of the film. Pirate Ship Battle – Two teams of players will battle in the skies above Neverland, attempting to destroy their opponents flying pirate ship. Capture The Pan – Explore the depths of Neverland while searching for the elusive Pan token, bringing it back to your base to score points for your team. Full instructions and details can be found at Game.PanMovie.net. If you haven’t already got a copy of Minecraft, you can donwload it here. Peter is a mischievous 12-year-old boy with an irrepressible rebellious streak, but in the bleak London orphanage where he has lived his whole life those qualities do not exactly fly. Then one incredible night, Peter is whisked away from the orphanage and spirited off to a fantastical world of pirates, warriors and fairies called Neverland. There, he finds amazing adventures and fights life-or-death battles while trying to uncover the secret of his mother, who left him at the orphanage so long ago, and his rightful place in this magical land. Teamed with the warrior Tiger Lily and a new friend named James Hook, Peter must defeat the ruthless pirate Blackbeard to save Neverland and discover his true destiny—to become the hero who will forever be known as Peter Pan.